Athletes can also participate in a 5K run in Wildwood Crest this weekend or take in a match at the world’s largest beach ultimate Frisbee tournament. Youth swimmers from across Cherry Hill Township this weekend will dive into the pool at the 57th annual Cherry Bowl. 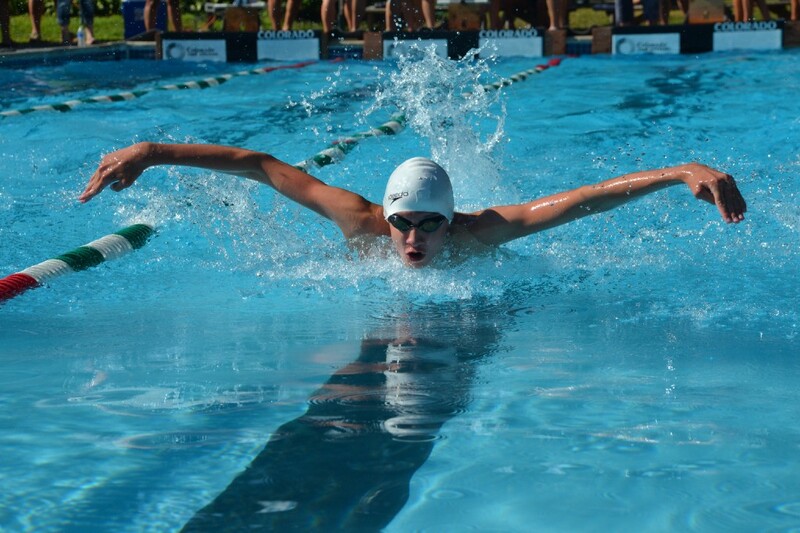 · One of Cherry Hill’s biggest athletic events of the year will take place at Cherry Valley Swim Club on Saturday. The 57th annual Cherry Bowl will feature youth swimmers from 13 Cherry Hill swim clubs. Erlton Swim Club will try to win its third straight title after winning Cherry Bowl in 2014 and 2015. The meet will begin at 9 a.m. and continue through the afternoon. Admission is $7 and program books can be purchased for an additional $7. For more information, visit www.cherrybowl.org. · If you haven’t checked out Cherry Hill Township’s Yoga in the Park yet this summer, another class is being held on Saturday morning at Croft Farm. This beginner yoga class is open to all residents. Participants need to bring their own mat and water. To participate, register at www.register.capturepoint.com/cherryhill. · In Mullica Hill, enjoy a tradition dating back nearly 70 years at the Gloucester County 4-H Fair. The fair will take place on Saturday and Sunday at the fairgrounds, 275 Bridgeton Pike, in Mullica Hill. This event retains the feel of an “old-time country fair” featuring numerous farm animals, educational programs, agricultural exhibits and more. A full list of activities and more information can be found at www.gloucester.njaes.rutgers.edu/4hfair. · Downtown Hammonton will be home to a Peach Party from 10 a.m. to 1 p.m. on Saturday. The party will take place at the Vine Street parking lot at 209 Vine Street. There will be plenty of peach activities, peach inspired food and a visit from Peach Queens past and present. Visit www.downtownhammonton.com for more information. · Wildwood will also be home to the largest beach Ultimate Frisbee tournament in the world this weekend. The tournament will take place on the beaches of Wildwood near the surf end of Morey’s Piers between 9 a.m. and 5 p.m. on Saturday and Sunday. More than 400 teams are expected to participate in the tournament. Spectators can watch the games for free. For more information, visit http://www.wildwoodultimate.com. Barbecue lovers will want to be at Citizens Bank Park this weekend for the Philly BBQ Fest. The event will take place from noon to 6 p.m. and will feature more than 40 barbecue vendors sampling their best dishes. There will also be a rib-eating contest, craft beer garden. Carnival games, food trucks, music and more. Guests should enter at the third base gate of the stadium. Tickets are $50 and include 10 food samples, a voucher for two Phillies tickets and an apron. There are also $75 VIP tickets for sale. Visit http://www.phillybbqfest.com for more information.